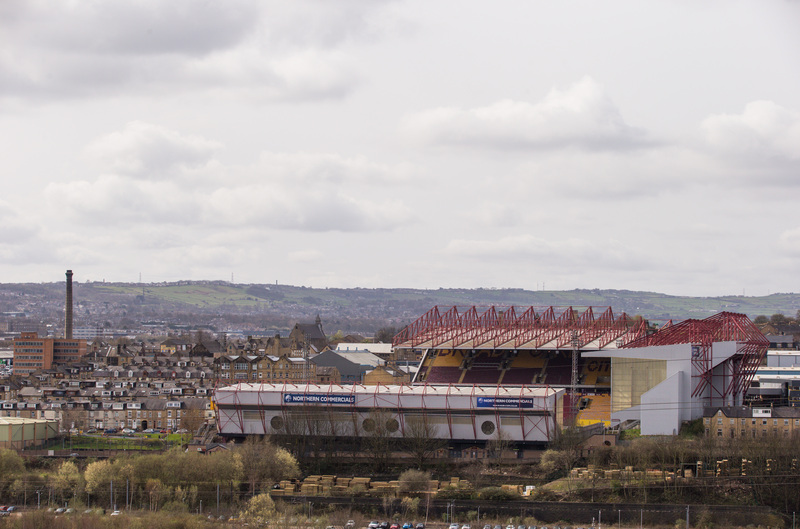 Home › Opinion › Bradford City AFC – held back by history? Many of us have vivid memories of Bradford City’s short spell in the Premier League, and of the successful and not so successful campaigns in the second tier. We all hoped those days would return in May 2017, but alas Millwall stood in the way. Now we face demotion to the fourth tier and we are quite rightly not happy about it. But whether we like to admit it or not, Bradford City AFC has traditionally been a third or fourth tier club, having spent the majority of its 116 year existence at that level. Once the Football League became a truly national competition (after absorbing the top division of the Southern League almost in entirety in 1920) then the club – as well as Park Avenue – quickly fell from grace. Could this be due to the way the clubs were founded in the first place, and a lasting legacy of the strength of the rugby game in the region? Most Football League teams had tradition by the time they joined football’s elite. They were founded as offshoots of existing cricket clubs, or by local places of worship eager to increase their congregations, or by fellows who had learnt the game at public schools. They rose to the top of the pile in their districts, with a pool of players from which they had the means to pick from, and eventually the finance to import from far flung places like Scotland. Around them grew a strong grassroots structure that maintained that pool of players. Bradford did it the other way round. Rugby was king long after it had lost out to the round ball game in other parts of the country. The strength of the Yorkshire Rugby Union was the key to this, going against the national body by ceding to its stronger members – which included the likes of Bradford, Manningham, Leeds, Huddersfield and Halifax – organising its own knock-out competition (T’Owd Tin Pot) and then recognising the inevitability of a league structure that would further local competition. This meant that local villages, workplaces, and indeed whole towns already enjoyed a competitive rivalry, one which was missing from the purely amateur rugby code in other parts of the country. 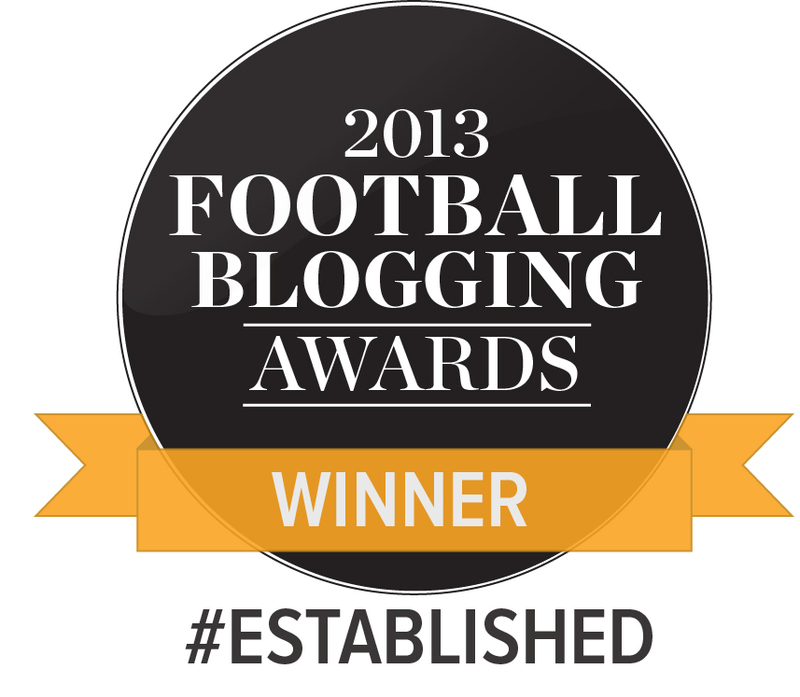 Association football therefore found it harder to become established, particularly in the West Riding. Bradford Cricket, Athletic and Football club at Park Avenue was the first try it’s hand a founding a worthy city club. The club always played second fiddle to the rugby team, had far less finance available to it, and achieved little success – particularly against the reserve teams of South Yorkshire based teams like Sheffield United and The Wednesday, and was generally poorly supported by the Bradford public. After being exiled to Birch Lane in 1898, the club disbanded soon after, many of its players becoming dispersed among other local clubs. Furthermore, in the early 1900s the West Riding FA found that attempts to organise a strong county league withered. It was argued that the professional Northern union clubs, who, in the 1890s experimented with the round ball game, and had the strongest teams were smothering ‘socker’ by not fielding sides in the attempted West Yorkshire/Yorkshire leagues. Without a good county league then there was no chance of the non-league game existing at a high level. Lack of success in the FA Amateur Cup was proof of this, and Bradford based teams very rarely made it beyond the regional qualifying rounds of this competition. There were attempts by the Bradford FA, formed in 1899, to form a professional city team based around Girlington AFC (who played at Valley Parade) and the amateur Bradford City AFC (who played at Greenfield), but this fell through in 1902, leading to the surprise disintegration of both clubs. When Manningham Football Club turned its back on the Northern Union (Rugby League) game and was admitted to the Football League as Bradford City, it turned on its head the traditional means of attaining FL status. Park Avenue’s second, and this more successful attempt to introduce professional soccer was a mirror image of that at Valley Parade. An existing, professional rugby team was embraced by the authorities with open arms. Had a second Football League team evolved from a successful non-league team then the venture may ultimately have proved more successful in the long run. Bradford’s ‘top down’ approach’, with two Football League clubs, with very little in the way of successful non-league teams ensured that a strong pool of local players was not going to materialise. While Bradford’s amateur leagues thrived, there was no successful non-league club in the city until after the Second World War (save for a Bradford Schoolboys’ English Cup success in 1916). Bradford’s economic woes as the textile industry shrank can in no way be discounted, but it is worth considering Bradford football’s roots, because the ‘top down’ approach adopted by the formation of Bradford City and Park Avenue clubs from existing professional rugby clubs is clearly less efficient, or as sustainable as the traditional ‘bottom up’ approach. It was perhaps inevitable then that Bradford was unable to have two\1 Football League teams, and the demise of one of them was bound to happen. Leeds of course endured a similar checkered start to the growth of association football, but of course had the advantage of only one professional football team whereby finances could be consolidated, and growing and more prosperous population in general, and a club in Leeds City AFC that was founded from the ashes of the West Riding’s only successful ‘socker’ team prior to 1900. Had the Bradford system proved sustainable, with only one Football League team, then that club could have easily established itself as a leading light in the game, with a firm base from which to garner support, finance and players. Its early history and development seems to have proved itself a millstone around the neck of professional soccer in the city, and possibly one which has prevented the club from ever catching up in terms of resources. This early history of Bradford football, and of the sport of soccer in the West Riding in general, is covered in LATE TO THE GAME, published in May and the sixth volume of the HISTORY REVISITED SERIES, of which Jason McKeown’s book WHO WE ARE was the fifth in the series. A further four volumes are planned to provide a definitive history of Bradford soccer from the beginnings until the present day. Through detailed re-assessment of the historic record our books explain why and how events unfolded as they did and demonstrate how the history remains relevant today. Collectively they provide fresh perspectives to the history of Bradford football and the origins of sport in the district, debunking the myths and superficial narratives that have been told previously. All the books are produced in the same format incorporating a wealth of illustrative content to allow long forgotten artefacts to be featured. The series is self-published – financial budgets are set on the basis of achieving break-even rather than profit which means that wherever possible content does not have to be sacrificed to satisfy a publisher’s targets. In so doing we have the freedom to publish what we want rather than comply with inflexible formats. However we are committed to producing books of high quality, in particular with hard cover subscriber editions. An excellent summary which identifies probably all the factors, which collectively restricted the growth of football in Bradford. The two club issue with the dilution of support, both in numbers and in finance is one which l believe seriously hindered progress. The move for a possible merger of City and the Horton club in the mid/late 1900’s, had it come to fruition, could have seen the emergence of a top tier team, which was able to maintain its status. By the time Avenue ceased to exist in the 1970’s, it was too late, as our neighbour to the east, had gained a significant interest and amount of support. Looking at the ‘two clubs’ model, then City’s such as Nottingham, Bristol, and Sheffield (and even Birmingham if you count, Birmingham, Villa, WBA and Walsall as greater ‘Birmingham’ clubs), have also struggled to consolidate themselves in the Premiership. More recently Leicester, in my opinion, is the sort of club we could/should have become. However our location, close to a major metropolis to the east and within easy travelling distance to Manchester has been a continuing factor in City failing to establish itself as a major force in football. I have thought along these lines for a long time now, having supported City since 1972. Teams such as Burnley, Blackburn, Bolton, Preston and Blackpool arguably similar sized clubs to ours these days always generally seem to fair better than ourselves. The reason has to be in their roots and history, however we have had chances to break free of the shackles going back to when I first followed City the selling of Bruce Bannister when we’re looking good in the old third division was my first experience of us showing lack of ambition. Next time 1988 Jack Tordoff’s refusal to strengthen the squad with a couple signings when we were on the brink of automatic promotion to the First Division. Next up Richmond’s antics after Paul Jewell left, we had the money to really improve the whole infrastructure of the club and instead he wasted it on ridiculous signings Carboni, Petrescue, Ashley Ward and the rest. Then the latest on the verge of championship football Rahic the destroyer drives the club over the cliff. However there is hope from these setbacks we have always comeback and I think we will but have we learned from the past to grasp that opportunity sadly history says no but that doesn’t mean it can’t happen there is always hope. You are probably correct in your analysis. But it can be done. Luton are proving it. Norwich have proved it. We need sensible management as we had pre 2017. Meanwhile we have renewed our season tickets today. I thought long and hard but in the end I couldn’t walk away. City mean too much to me. The signing of J Rhodes and Bowyer swayed it. I’m sorry I disagree. We are a city, not an affluent city, but a passionate fan base where there is demand for a successful football club. Going back to league 2 will mean we are the biggest scalp yet again! We’re proably seen to be the third biggest side in league 1. Because of our history! No other league 2 team would have got to a league cup final other than Portsmouth. That’s because we have similarities in grounds that can meet the demands of success and brings back the fans. Its also an intimidating ground. We are where we because of years of little investment or mis-management. We’re the poor neighbours to Leeds. Too many supporters have low expectations. Nothing wrong with thinking we should be in the championship. Granted nobody should roll over, but you can’t compare this club now to the pre 80’s and early 90’s. The fact we were so close two seasons ago, shows how much we have been mismanaged. It happens. And one more thing, if we’re so small why does every new manager we have think the opposite. They know themselves if they can get it right at Bradford City then they will progress their career further.